Mumbai: With campaigning for the Lok Sabha elections hitting its final leg in Mumbai, political parties have been making promises galore to "make Mumbai a global city. "But the dark story is that the city continues to grapple with leprosy, an age-old disease that has been eradicated in most parts of the world. Leprosy has, in fact, made a comeback of sorts in urban Mumbai with figures from the state's Directorate of Health Services suggesting that the last 13 months have seen a rise in number of new leprosy cases. IDF Southern Region Team meet at Yercaud, Salem and made `Yercaud Declaration' with a vigour to rededicate its services to the welfare of the poor and the needy. `House of Peace' was the venue where the team spent two days in preparing the declaration which also highlighted various methods of creating awareness programme on various health issues, particularly TB. The team was headed by Dr.A.R.K. 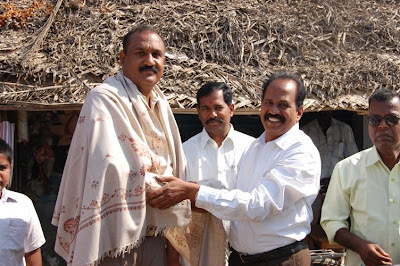 Pillai, Founder President of the Foundation. The team included - Dr. Narayan B. Iyer, Mr. C. Chidambaram, Dr. S. Franklin, Mr. R. Settu, Mr. Sam Deva Asir RM, Mr. M. Rangasami, Mr. Mano Ranjit Lad, Mr. F. Fredrick, Mr. H. Gurumurthy and Mr. S. Arumainayagam. 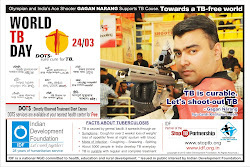 IDF Team is all geared up to serve the society at large. Rev. Sr. Sandhya S.N.D., Principal, Sophia High School, Bangalore receiving IDF publications. Sophia High School supports IDF's leprosy and Tuberculosis awareness programme. Indian Development Foundation expresses sincere thanks to all the schools for supporting social responsibilty programmes in national interest. Rev. Sr. Firmina Mary, Headmistress of Jeyarani Girls Hr. Sec. School, Salem receives IDF Performance Report from Dr. A.R.K. Pillai. Mr. C. Chidambaram, Dr. S. Franklin and Mr. M. Rangasami look on. Jeyarani Girls Hr. Sec. School supports IDF's health, education and development programmes. Rev. Sr. Stella, Principal of St. Joseph's Hr. Sec. School, Suramangalam, Salem receives IDF reports from Dr. Pillai. Dr. S. Franklin and Mr. M. Rangasami look on. St. Joseph's Hr. Sec. School supports IDF's social responsibility programmes. IDF salutes the schoolteams for their benevolent support. National Awardee Mr. R. K. Sharma, Principal of S.J. Public School in Jaipur appreciated the work of Indian Development Foundation. S.J. Public School has been supporting the leprosy eradication programme of IDF for nearly two decades now. Mr. R. K. Sharma, Principal and Mrs. Manju Sharma, Vice-Principal of the School congratulated IDF for all the social projects of IDF. Dr. Narayan B. Iyer thanked S.J. Public Schoolteam for the continuous support extended to IDF from time to time. Podar International School (IB) is preparing tomorrow's global citizens today, said Dr. Vandana Lulla. We are indeed happy to give our best to the society through Creativity Action and Service (CAS) activities of the IB. In addition to students involvement in social responsibility programmes, i am also of the happy to express that our teachers get involved in the overall development of the society, said Dr. Vandana Lulla, Director of Podar International School. 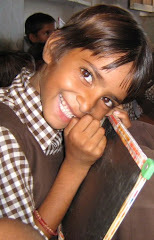 Podar School has been participating in various social development programmes in collaboration with IDF projects. Today is World Health Day and our institution is committed to Health, Education and Development and we are happy to partner with Indian Development Foundation, expressed Dr. Vandana. While addressing the students in the morning assembly Dr. Vandana said, charity begins with onself. One should know how to take care of self. Once you learn how to take care of yourself, you can then extend the service of caring to your family, school and the society at large. We could see the development taking place in India. But we could see only the majestic structures and buildings. These developments suffer from lack of water and power supply. When we speak of development, we should see that the basic necessities of living are also provided. India's capital is also not spared from power cuts. We have a long way to go in creating a non-conventional energy set-up in India. Awareness is the key and we should curb unnecessary wastages. In collaboration with Indian Development Foundation, the IB students of Podar International School will work on theme based development in reaching Swasthya - Shiksha - Rahat. Dr. Narayan B. Iyer, national co-ordinator of IDF thanked Dr. Vandana Lulla and her entire Schoolteam for participating in the social responsibility programmes. If India has to progress and claim its superiority among the nations, it is necessary to control population growth, increase literacy rates, enhance employment opportunities and ensure better health for all its citizens. ....................... 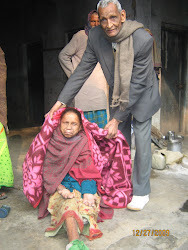 The theme for World Health Day 2009 is "Save lives, make hospitals safe in emergency". It focuses on the resilience and safety of health facilities and the health workers who treat those affected by emergencies. Health should be made a felt-need, then only the maxim "Health is Wealth" will be more effective. Elections in India are round the corner; better health for the citizens of the country is one of the issues for the voters. Let?s see who keeps the promise! READ COMPLETE ARTICLE BY CLICKING THE LINK of NAVHIND TIMES of GOA. World Health Day 2009 focuses on the safety of health facilities and the readiness of health workers who treat those affected by emergencies. Health centres and staff are critical lifelines for vulnerable people in disasters - treating injuries, preventing illnesses and caring for people’s health needs. They are cornerstones for primary health care in communities – meeting everyday needs, such as safe childbirth services, immunizations and chronic disease care that must continue in emergencies. Often, already fragile health systems are unable to keep functioning through a disaster, with immediate and future public health consequences. This year, WHO and international partners are underscoring the importance of investing in health infrastructure that can withstand hazards and serve people in immediate need. They are also urging health facilities to implement systems to respond to internal emergencies, such as fires, and ensure the continuity of care. 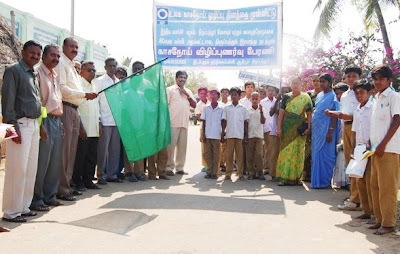 Indian Development Foundation in collaboration with the Indian Institute of Public Administration and schools in Tirupattur organised a TB awareness rally at Tiruppatur, Tamil Nadu. Mr. Chidambaram, Mr. R. Settu and Mr. Rangasami from IDF collaborated with Dr. K. Padmanabhan from IIPA and Sneha Educational Trust in organising the event. 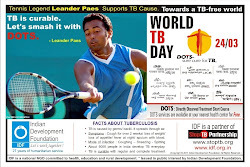 Students from local schools distributed pamphlets and displayed posters giving scientific information on TB. 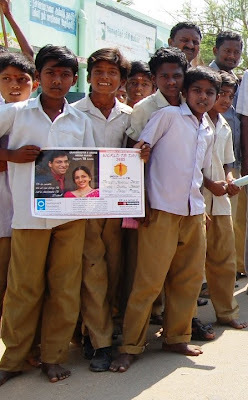 The students created awareness among the villagers and exhorted people to come forward in fighting the disease.